Russia restricts Nordwind Airlines’ ETOPS operations over safety concerns. The Russian Federal Air Transport Agency (Rosaviatsiya) restricted Nordwind Airlines’ ETOPS operations over safety concerns. 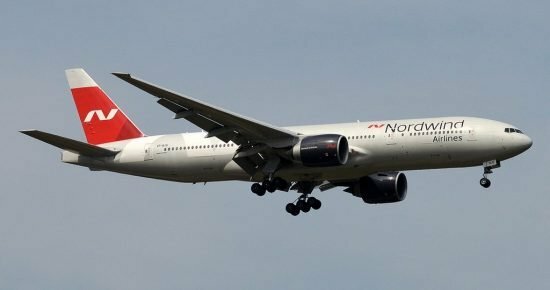 The agency cancelled the airline’s special permits for flights using the ETOPS rules (extended flight time to the alternate aerodrome of over 60 minutes for twin engine aircraft), on the entire Nordwind fleet. The airline currently operates nine Airbus A321’s; two Airbus A330-200’s; ten Boeing 737-800’s; six Boeing 777-200 and three Boeing 777-300’s. The decision was based on the results of an unscheduled inspection of the operator in February 2019, which revealed a discrepancy in training for the airline pilot training program for admission to flights according to ETOPS rules, incidents of operations on aircraft that did not undergo maintenance, and the lack of the necessary number of technical staff in the airline.